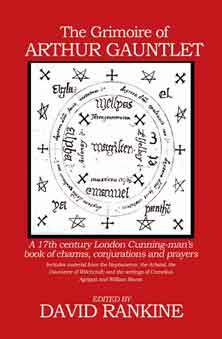 The Arbatel is an excellent text for anyone who ponders the question of ethics and moral behaviour in magic. For this reason it is not surprising that it should have been translated by Arthur Gauntlet and included in his book of practice, as found in The Grimoire of Arthur Gauntlet. There is a sevenfold preparation, That we may learn the Art of Magick. The first is That we may day and night meditate how one should ascend to the true knowledge of God. As well by the revealed word from the beginning As by the seal of creation and Creatures and by the wonderful effects which visible and invisible Creatures of God do show. Secondly it is required that a man descend into himself and that he study especially to know himself, what mortal thing he hath in himself and what immortal And what is the property of every part, what the diversity. Thirdly, that he learn by his immortal part to worship love and fear the Eternal God and to adore him in spirit and truth, And to do those things with his mortal part which he knoweth to be grateful to god and profitable to his neighbour. These are the three chief and first precept of Magick to which whosoever shall prepare himself, unto true Magick or divine wisdom to the coveting and following of the same that he may be counted worthy the knowledge thereof, whom the Angelical creatures shall obey not only obscurely but also manifestly and face to face. Fourthly Seeing that everyone is called from the womb of his mother that he should be occupied in a certain kind of life, Therefore it is requisite that everyone should thoroughly know whether he be born into Magick or no And into what kind of Magick which everyone shall perceive which readeth these things and judged them easy and by experience shall find in himself good success. For such and so great gifts are not given but to the poor in Spirit & humble. Fifthly he must note whether he can perceive the Spirits assisting him manifestly in the greatest businesses that are to be undertaken. Because if he shall find them to be such assistants, It is manifest he is made a Magician by the ordinance of God, that is, such a person which useth the ministry of the spirits unto the effecting of excellent things. But here he may sin, either by negligence or by ignorance, or by contempt, or also by too much superstition. Also he may sin by unthankfullness towards God whereby many excellent men have drawn upon themselves destruction, and he may sin by rashness and stubbornness. And lastly he may sin when the gifts of God are not had in that honour and esteem as is required and as they ought to be. Sixthly, A Magician hath need of faith and silence that no secret especially may be made which the spirit revealeth to him as Daniel was commanded to keep secret secrets. For some things are sealed that is not brought forth into public. So neither was it lawful for Paul to utter those things he saw in Revelation. No man would believe how much is placed in this one only precept. Seventhly, very great righteousness is required in a Magician to come, that is, that he should not undertake anything that is either ungodly, irreligious or unjust, yea that he admit not any such thing into his mind. And by the holy of God he shall be defended from all evil.